Hunt Manor has over 20 years of trusted experience providing insurance to the hospitality industry. 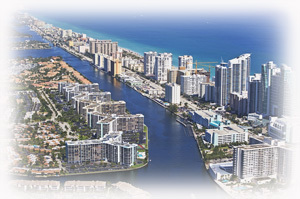 We have the experience and contacts to put together a customized risk management package just for you providing a full line of custom tailored insurance solutions to protect investments and operations unique to the hospitality industry. We provide a one-stop shopping source for a full range of coverages. Serving Hotels, Motels, Bed and Breakfast Inns, Restaurants, Golf Courses, and Resorts throughout Maryland, Washington DC, Virginia, Delaware, Pennsylvania, New Jersey, Florida, South Carolina, and Wisconsin. Our packages have been specifically designed to provide businesses in the hospitality industry with the coverage they need to protect their investment and operation. All coverages are available as a package or individually. Our years of experience in this industry has enabled us to establish relationships with a group of financially sound carriers so we can offer you the best coverage while keeping costs under control. Don’t risk putting your coverage with less than excellent rated carriers. Our carriers are key players in the industry. Call one of our experienced agents today to get access to the strongest carriers in the insurance industry! 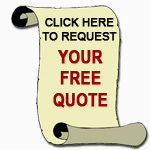 Our team of underwriters are dedicated to providing you with quick turnaround on quotes! We are always just a phone call or e-mail away. We understand the types of losses the hospitality industry experience. We bring claims to quick resolution so you can get back to running your business in as little time as possible. Contact us today to request a free hospitality insurance quote. We can assist you by providing a custom tailored package prepared to minimize your hospitality industry risks.